Ansergy has been forecasting WECC markets for nearly thirty years, which is close to the tenure of our latest product, Long-Term WECC Forecasts. We’ve concluded two variables will have the greatest impacts on both prices and loads. describes all of the customer generation which occurs on their side of the meter. In the past, there was a smattering of rooftop solar or maybe a farm put up a small windmill. Ansergy suggests a case can be made for widespread adoption of DG, even in the Northwest. Should that occur, the survivability of some of America’s utilities may come into question. is the second force Ansergy believes may materially change power markets across the world. EVs are both loads and resources whereas DG is just a resource which acts as a negative load. Together, they pose interesting challenges for any utility and every Integrated Resource Plan should include some planning contingencies for both. There are an infinite number of other cases, we believe these are the two that have the greatest impact on future energy markets. Of course, Ansergy can test anything. Each Long Term engagement is treated as a proprietary forecast. Ansergy works with our IRP clients in defining the cases most relevant to your entity. All of our internal cases are available in addition to any custom cases you’d like defined. No black box, we work with our clients on every input and share our confidence intervals around those. 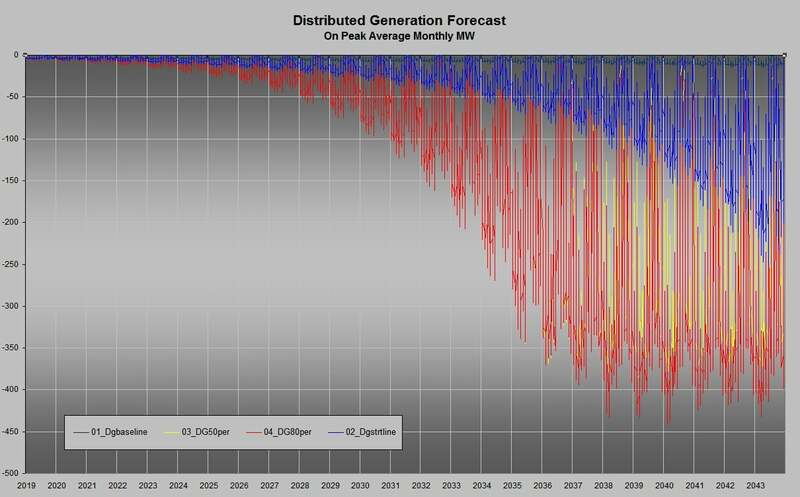 All of our inputs (hourly to less granular) are available via FTP including load forecasts at utility-level, hydro, gas prices, wind, solar, and TTC. All cases are run on a recurring basis incorporating the latest fuel prices and other confirmed changes. These are your forecasts and are not shared or resold. Each engagement is treated unique except for Ansergy’s internal forecasts, all of which will be shared with you. Our prices are the most competitive in the business, call for a quote.